Welcome to the Ohio to Erie Trail’s online media information! Within the Media Kit, you’ll find Press Releases, Logo Images and Trademark Guidelines, and Press Contact information. For additional details about Ohio to Erie Trail history and the nature of the organization, please also see About Us. Please check back here for future Press Releases, which will be posted here as they are produced. December 1, 2015 – New Executive Coordinator – Lisa Daris is the New OTETF Executive Coordinator as of December 7, 2015. Lisa Daris of Columbus was chosen by the OTETF Board as the new part-time Executive Coordinator replacing Julie Van Winkle. Lisa will handle the day to day operations of the organization and report to President Moffitt and the officers. She will be the voice on our phone line and will receive the e-mails you send to us. Other responsibilities will include writing newsletters, donor coordination, records and reporting, web site up-dates and work with local and regional trail stakeholders. Lisa has extensive experience in the cooperate world as well as non-profit work. She serves on the Community Advisory Committee for MORPC’s transportation department. She is on the board of FLOW (Friends of the Lower Olentangy), chairs the Columbus Outdoor Pursuits Boating Program and is the founder of SLOW MONEY, a non-profit organization that focuses on peer-to-peer principle based lending. In addition she has her own seasonal kayaking company, Olentangy Paddle. She is a graduate of the OSU. We welcome Lisa and know you will like her! January 1, 2016 – Long time Ohio to Erie Trail Board Members Jim Schneider of Beavercreek and Brad Westall of Columbus will become Advisory Board members as they leave the active Board work of the OTETF. 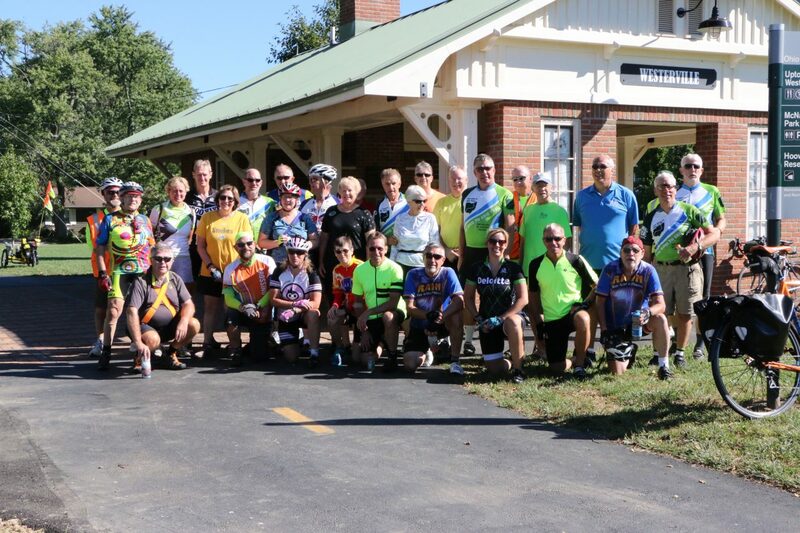 Both Jim and Brad have been very influential members of the Board and have decades of effort between them to help build the Ohio to Erie Trail. We are saddened to see the two gentlemen leave the Board but are pleased that they will remain as advisors to the remaining 17 directors. The images below are for the promotion of the Ohio to Erie Trail Fund, Columbus, Ohio. All images must be properly credited. Images may not be reproduced by third parties without express written permission from OTETF Columbus. Application is being made in 2015 for registering the name, Ohio to Erie Trail, and associated logos as trademarks of Ohio to Erie Trail Fund, Inc.
Ohio to Erie Trail’s digital assets are protected by copyright and trademark laws, and are the property of Ohio to Erie Trail Fund. Digital assets are defined as content from different media (e.g., photographs, video, text, audio, web pages, etc.) preserved in digital form. Unless otherwise stated, you may print or download Ohio to Erie Trail Fund digital assets for informational, educational, and other noncommercial purposes provided you include Ohio to Erie Trail Fund as a reference as owner of the resource; for digital or live link environments, a link to www.ohiotoerietrail.org must be included. The user may not reproduce, record, publish, modify, or distribute any Ohio to Erie Trail Fund digital assets for commercial purposes without prior written consent from Ohio to Erie Trail Fund. Requests for commercial use of digital assets or questions as to whether a specific use is permissible or requires written consent, and requests by the media for use of any image should be sent to our PR Contact. Some examples of restricted use requiring prior written permission: (a) a publication containing reproductions of Ohio to Erie Trail Fund logo, photos or images to be sold or provided in exchange for a fee; (b) use of Ohio to Erie Trail Fund images to promote a commercial program, product, event, or activity, not pre-approved by Ohio to Erie Trail; (c) a t-shirt or jersey or other merchandise containing reproductions of Ohio to Erie Trail logo, photos or images. 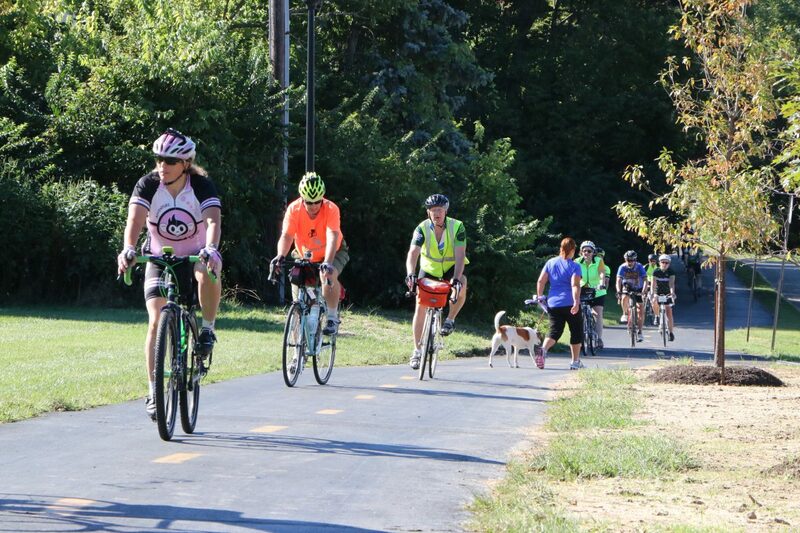 Ohio to Erie Trail Fund welcomes links to our website with certain restrictions. Permission to create a link to the website is not required. We do however reserve the right to request removal of a link from any web page we believe does not further Ohio to Erie Trail’s mission. You may NOT enclose pages from Ohio to Erie Trail’s web site within a frame set on your site. Our web site may provide links and pointers to internet web sites maintained by others. 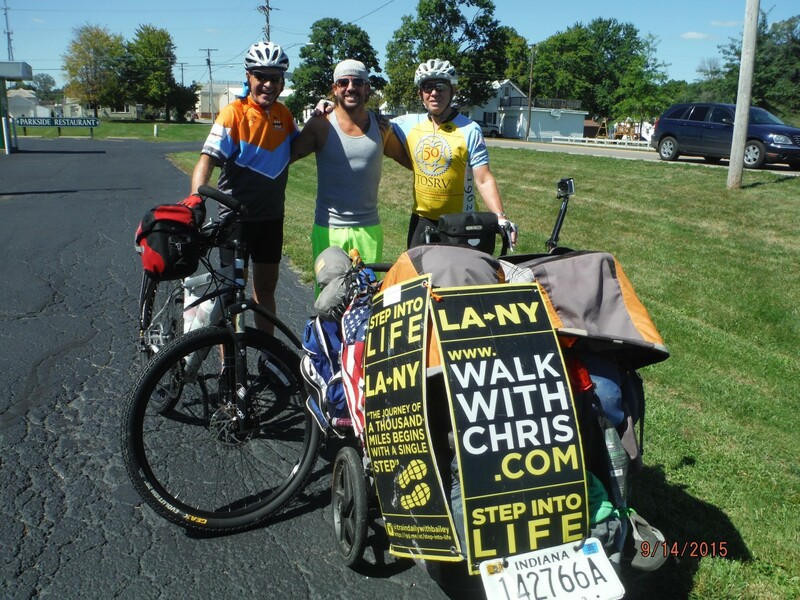 Ohio to Erie Trail Fund is not responsible for the availability of any other website to which our website links, nor does Ohio to Erie Trail Fund endorse or take responsibility for the content, advertising, products, or other materials made available through any other web site. Under no circumstances shall Ohio to Erie Trail be held responsible or liable, directly or indirectly, for any loss or damage that is caused or alleged to have been caused to you in connection with your use of, or reliance on, any content, goods, or services available on any other web site.